Saif Ali Khan has come a long way from the awkward starkid who was trying hard to find his feet in Bollywood. Today, Saif is one of the top stars and is counted amongst the Khans of Bollywood, i.e. Salman, Shah Rukh and Aamir and is dating the reigning queen of Bollywood, Kareena Kapoor. Here are some those films which mark Saif’s slow growth as an actor and his establishment as a major star. Released in 1993, the film was his first as a lead actor and also the first time he acted alongside his mother. Not a great film, but he won the Filmfare Best Male Debut Award for the film. This film was his first major hit after his flop-show at the very start of his career. Starring opposite Kajol and Akshay Kumar, this single hit was again followed by a string of flops. Saif showed up time and again in multi-starrers like Kachche Dhaage amongst others which were a better option for him as lead roles in films never fared well for him. For his role, he won the Filmfare Award for Best Supporting Actor. ‘Dil Chahta Hai was perhaps the best thing that ever happened to Saif Ali Khan as it re-introduced him to the industry in a totally different light. Farhan Akhtar explored a different realm of Saif’s acting ability and many called Saif’s career-best performance. Saif’s role in Nikhil Advani’s drama was appreciated all, and established Saif as a bankable star. He won another Filmfare and several other awards for the movie. 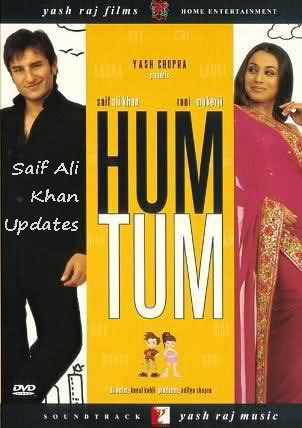 With ‘Hum Tum’, Saif’s popularity had risen to a large extent. His portrayal of a man’s journey through different phases of his life was lauded by critics. Saif won the coveted national Award for Best Actor for this film. ‘Omkara’ was a landmark in terms of Saif’s growth as an actor. “Omkara marks Saif’s emergence into the very forefront of his acting peers, and we gleefully applaud”, stated the review by Rediff.com. Film critic Derek Elley wrote, “It’s Khan’s movie through and through, in a performance of rugged, contained malevolence which trades on his previous screen persona as a likable best friend as well as his stint as the manipulative outsider in ‘Being Cyrus’. ‘Love Aaj Kal’ was Saif’s first project as a producer. Acting alongside Deepika Padukone and Rishi Kapoor, it was an absolute delight to watch his performance. Critically and commercially successful, the film was another feather in his cap. May be Saif Ali Khan have not made it big in bollywood like Salman Khan, Aamir Khan and Shahrukh Khan has but the sytle statement he has no other Khan has it and that is why he is called a Nawab. Saif Ali Khan is know for his style statement the way he dress up, the way he walks, talks and lives. Everyone wants to know about him. He is just awesome the ways he is and I think everyone should follow his style statement. too appreciated and his body was also too good. Kareena also looks very good with Saif; they very well compliment each other. In the film KURBAAN, both Kareena and Saif were looking awesome with each. Not only in films but in award functions, event and at parties Saif presents him self very well and that’s why he is known as a Nawab. Saif was not that hit in bollywood but after KAL HO NA HO his career took on. His movie LOVE AAJ KAL was also loved by people (including me). In his upcoming movie which is his first production house AGENT VINOD, he has given some different look which will obiviously create a fashion. He is also planning to make a remake of his movie MEIN KHILADI TU ANADI. With all the buzz recently about actor Saif Ali Khan working on projects such as Agent Vinod, and Aarakshan and all the news about him being at Cannes film festival this year, we thought we would reflect at the actors past and his road to success. It took Saif Ali Khan many years to perfect the art of Bollywood acting; we wonder whether it was the bad chose of roles played or simply the British sense of humour that the Indian audiences did just not understand. Saif seemed to have left the audience think twice as to whether he would ever be true Bollywood material. Son of yester year’s well renowned actress, Sharmila Tagore and famous cricketer Mansoor Ali Khan Patodi, success had definitely come the hard way for this actor, who recently stated that he felt weird watching his earlier films; high waist jeans and the long hair cut. Though a trend setter, Saif was never quite the actor known to deliver solo hero films. 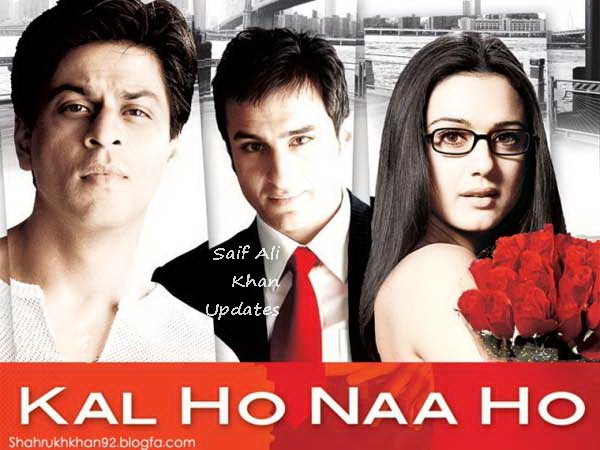 However, all changed with the block buster hit, Kal Ho Na Ho, though the movie starred Shah Rukh Khan and Preity Zinta who were already established at the time, Saif’s performance did not go unnoticed. The film boosted his profile as a Bollywood actor, and thereafter he starred in many successful films like; Parineeta, Hum Tum, Omkara and Love Aaj Kal to name a few. Nevertheless being successful in Bollywood comes with a price, his personal life was on the rocks, married to Amrita Singh at the tender age of 21 years, Saif began dating Italian dancer Rosa Catalano and ended his 13 year marriage with Amrita. However, that wasn’t the end of his love story, in 2007 he started dating one of Bollywood’s most successful actresses, Kareena Kapoor who he lovingly calls, Bebo. With the constant media interference as to when will he drop the big question to Kareena, Saif feels that less concentration is given to him as an actor and more as a lover. Well, that’s another price to pay in Bollywood; once you start dating a popular celebrity, the media will follow you everywhere. Keeping it all hush hush about his plans to wed Kareena, the actor has been focusing on his up coming projects, Agent Vinod and Aarakshan. Now with daughter Sara growing up so fast, and having the aspiration to become an actress already, Saif is one B-town celeb who will always remain in the limelight.